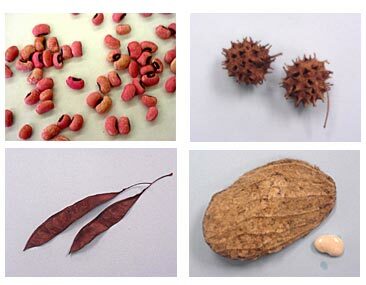 Seeds come in different sizes, shapes, and colors. Some can be eaten and some can't. Some seeds germinate easily while others need certain conditions to be met before they will germinate. 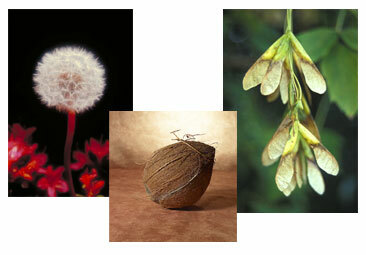 Do you know that within every seed lives a tiny plant or embryo? You can hold in your hand 500 radishes, many thousands of petunias, or an entire meadow if you remember that each seed is a plant! Seeds travel! They can't just get up and walk to a new location, but structures on the seed may allow it to move to a new location. Some of the moving forces might be wind, water, animals, and gravity. Look at the seeds below and think about how they might travel from place to place.